It's true! 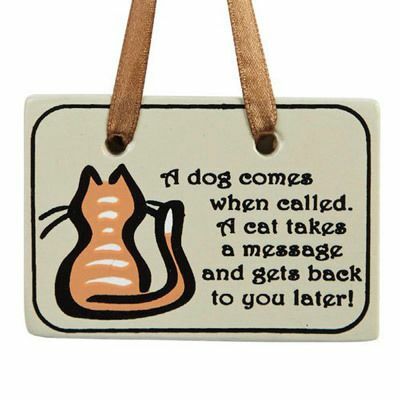 Cat lovers appreciate the feline's independent streak, spelled out on our clever, beige ceramic plaque. Satiny, chocolate ribbon hanger. Imported. 3"w, 2"h.